Miami Valley Drive-Away & Transport, LLC works hard to ensure the shipping of your vehicle is easy and efficient. This checklist will help you prepare your vehicle for shipping. If you have any questions, contact your vehicle coordinator. Contact Information – your coordinator will need this to update you periodically on the location of the vehicle. Delivery Contact Information – An adult with a valid driver’s license must be available at time of delivery. 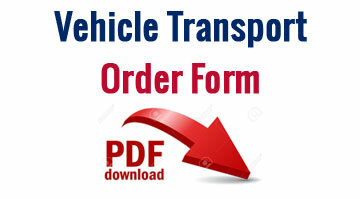 If the person who places the order will not be receiving it, your vehicle coordinator will need their contact information. 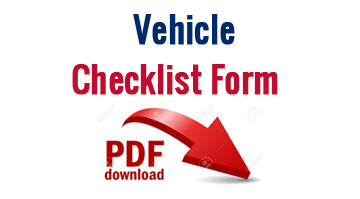 Vehicle Info – Please tell your coordinator up front if the vehicle is a convertible, if it has any modifications that could affect shipping (such as a lowered or lifted vehicle), or if the vehicle doesn’t run. Please read our terms and conditions, available on our website. Inspect your vehicle for any possible damage. Please feel free to let us know how your vehicle shipment went! Visit our web page and click “Feedback“.